At the Piatchek Law Firm, our attorneys provide succession planning services for business owners. 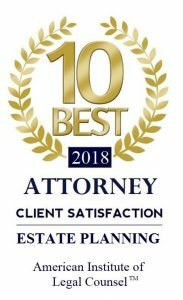 We are at home in both the business law and estate planning arenas, and we’re especially comfortable in the intersection where the two overlap and intertwine. As a small business owner, you surely plan for your business to have continuity and stay in business for a long time. Thus, it is essential to have a business succession plan in place. In place of (or in combination with) this plan, you can use your personal estate plan to address the issues involved with business continuity in the event of your absence. Remember that your family, employees, and customers/clients are relying on you. You have worked hard to build your business, so take important steps now to protect its future potential. Perhaps you will sell your business when you retire. Maybe you have a key employee that you want to make a partner, whether now, gradually over time, or upon your exit from the business. Perhaps you simply want to make sure your clients and/or customers are taken care of should you suddenly pass away. At the Piatchek Law Firm, we address all of these situations and many more besides. With the proper business estate planning documents, you can ensure that your business partners and family members are not harmed by your death. Operating and partnership agreements initially help your partnership or family-owned business get its start, but they can also help you avoid estate taxes and problems with management planning in the future. In addition, the right documents can provide business asset protection for both large and small businesses. When necessary, our firm can consult tax experts, financial planners, and other professionals in order to develop relevant business estate planning strategies and avoid taxes. For many Missouri business owners, the most valuable asset they personally own is the business itself, or their respective share of the business. Therefore, just as with any other asset, you want to make sure that everything is properly structured in the event you become incapacitated or pass away. You must ensure that your assets (including your business, or an amount of money equal to the value of your business) would pass to a surviving spouse or the next generation if something were to happen to you. Businesses engage in business succession planning; individuals and families engage in estate planning. Small businesses and family-owned businesses need both. In fact, the two may be intertwined, because you and your business are intertwined, along with your personal assets, business assets, income, and loans. Would your business be able to continue if you were not around? What will happen to your business if you pass away or lose capacity? Who will operate your business if you are not around? Does your business have more than one owner? How will the future of your business work? Who will own the business (and in what percentages, etc.)? In your absence, who will your clients or customers contact about ongoing service? Who will be in charge of wrapping up your affairs? Who might buy or continue your business? How much will the purchaser of your business pay? What will be the method of payment? How will you keep your business and assets out of probate court if you pass away? How will you keep your business and assets out of guardianship/conservatorship court if you become incapacitated? What is the fair market value of your business right now? If your business continues to run successfully, what would the fair market value for your share of the business be when you retire? Every business is different, and every business owner is different. A business owner must carefully consider how the business will continue when he or she leaves the company – whether by choice or due to unforeseen circumstances like disability or death. Your business may be your single largest asset, so you also need to have a comprehensive estate plan in place that accounts for all of your assets, including your business. You would not want your family or business associates to suffer if your business became caught in probate court or if unintended tax consequences occurred. Additionally, if you have partners, discuss your business’s succession plan together. If one partner passes away unexpectedly, the other partner needs to know who will take the partner’s place within the company: the partner’s spouse, the partner’s children, a trusted employee? Estate tax laws are always changing, but business estate planning is not just about avoiding taxes. A comprehensive and inclusive estate plan can help business owners protect their investments and ensure the continuity of their business after they are gone. At the Piatchek Law Firm, our attorneys help business owners plan thoroughly for the future. Whether you are a veteran business owner who has simply never gotten around to succession planning or a brand new business owner hoping to avoid future problems, we can help. Our firm can take steps to ensure the proper utilization of business planning documents, such as buy-sell agreements, shareholder agreements, LLC operating agreements, and LLC member control agreements. To get started, call us at 417-882-5858 or send us an e-mail to schedule a complimentary consultation.